This programme enables students to develop and undertake their A level Independent Investigation and complete the four days of fieldwork required. This Option B Fieldwork Programme focuses on Regenerating Places and Coastal Landscapes and Change. Option A examines Diverse Places and Coastal Landscapes and Change. We provide support for students to independently prepare their research question and sampling strategies in advance of their visit to Barcelona. 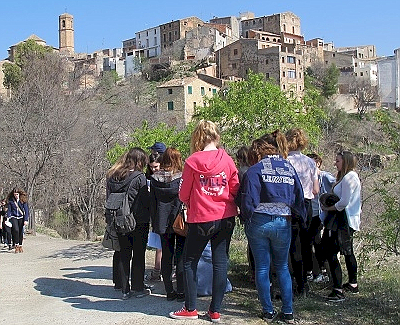 If time allows, fully prepared students will be able to pilot their investigation on their arrival day, by visiting their chosen study area of El Raval, Priorat or the Sitges coast. Less prepared students will visit one of the sites to explore how to ask geographical questions, design sampling strategies and build research proposals. There are two alternative options: urban regeneration in Barcelona, or rural regeneration in Priorat. � Explore why the inner city district of El Raval needed regeneration. � Find evidence of differing views about the regeneration of El Raval. � Investigate the different strategies involved in the regeneration of El Raval. � Look for evidence as to who is responsible for regenerating El Raval. � Assess how rebranding has altered people's perception of El Raval. � Evaluate the effectiveness of the regeneration process in El Raval. 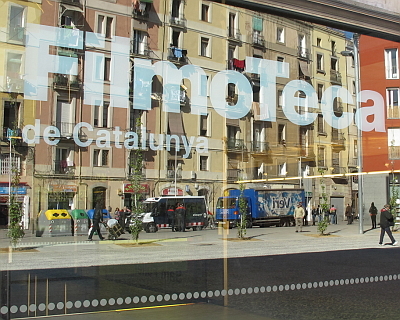 � Consider how the regeneration of El Raval is part of a bigger picture of changing Barcelona. � Explore why the rural region of Priorat needed regeneration. � Find evidence of differing views about the regeneration of Priorat. � Investigate the different strategies involved in the regeneration of Priorat. � Look for evidence as to who is responsible for regenerating Priorat. � Assess how rebranding has altered people's perception of Priorat. � Evaluate the effectiveness of the regenerating process in Priorat. � Consider how the regeneration of Priorat is part of a bigger picture of rural depopulation in Spain. Students who have arrived in Barcelona fully prepared will independently finalise the draft titles of their human investigation and develop their justification and contextualisation of how their enquiry will help them answer their title. For students less prepared, the fieldwork will help them to develop geographical questions, design sampling strategies and build research proposals. In the evening session of a Taught-Course programme, students will be introduced to a wide range of potential secondary data sources and information and explore how secondary research can be used to justify a research aim, question or hypothesis. A range of possible statistical techniques and data presentation methods will also be introduced and demonstrated. � Explore how the coastal landscape can be viewed as a system of inputs, processes and outputs. � Examine how the coastal processes have created distinctive landforms, including cliffs, caves, and beaches of different materials, widths and profiles. � Find evidence of how human activity has caused change within the system. � Investigate how the coastal landscape is being managed, the management strategies being implemented, the reason for their implementation, and the intentional impacts on processes and flows of material and/or energy through the system. � Examine the effect of these impacts in changing beach profiles. � Assess the intended and unintended consequences of these changes on the landscape. � Evaluate the effectiveness of the different approaches to coastal management. � Consider how the Sitges coast is part of a bigger picture of a Mediterranean coastline under threat. In this second evening session of a Taught-Course programme, students will independently finalise the draft titles of their investigation (either human or physical) and develop their justification and contextualisation of how their enquiry will help them answer their title. Students will also independently design sampling strategies and build research proposals. Students return to their chosen study location to collect data for their individual investigation - El Raval, Priorat or the Sitges coast. In this final evening session of a Taught-Course programme, students will need to receive guidance in order to gain the most from their fieldwork experience. Collaborative working is recommended so that individual groups or students contribute to each step in the geographical route to enquiry. Departure day. If time allows, students may return to their chosen study location to collect further data.